Four-door coupes never really made sense to me – what they are, essentially, is a sedan version of a coupe version of a sedan (looking at you, Audi and BMW). But it’s quite impossible to deny that they do look rather sleek with their long wheelbases, sloping rooflines, and large wheels. 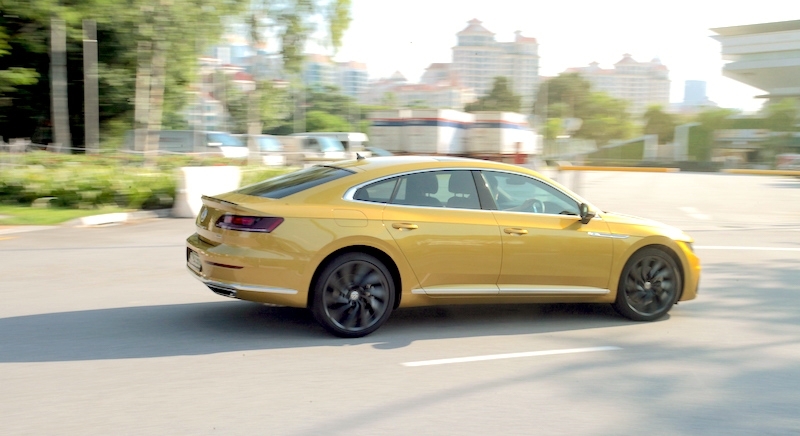 At first glance, the Arteon appears to be a replacement for the Passat CC, and you’d be forgiven for thinking that. However, unlike the Passat which was positioned as a compact executive model (fun fact – ‘CC’ was an acronym for Comfort Coupe! 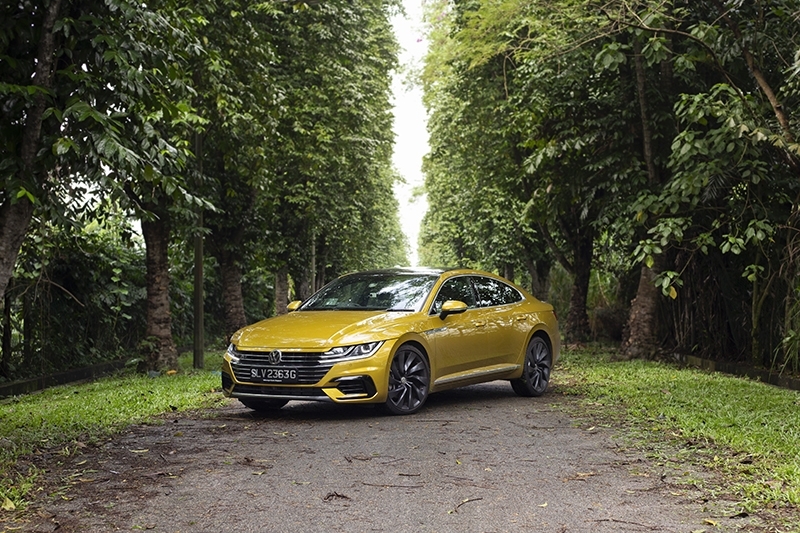 ), the Arteon is positioned as a luxury grand tourer and is Volkswagen’s current flagship model. 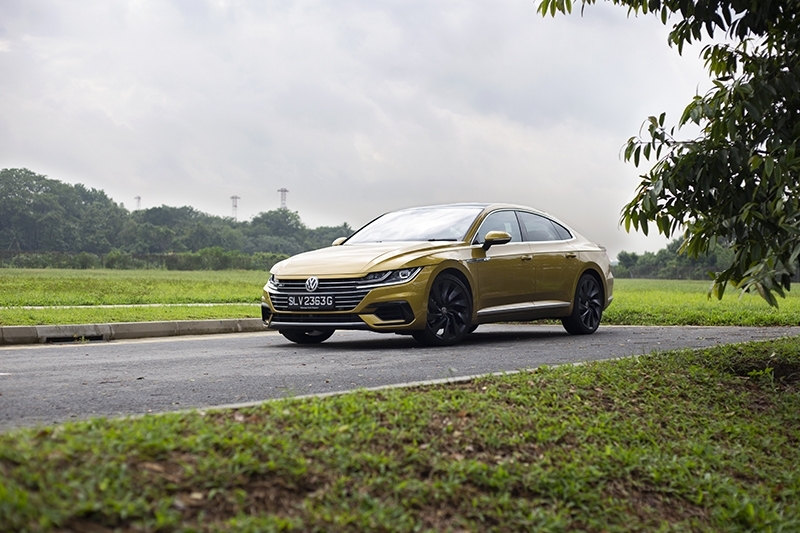 Aimed squarely at the other four-door coupes in the market such as the Audi A5 Sportback and BMW 4-series Gran Coupe, the Arteon is equipped with the drivetrain from the Golf R – which means it’s got 280 bhp and 350 Nm of torque sent to all four wheels through the 4Motion all-wheel drive system. Unlike the Golf, you won’t find experience explosive power delivery when you mash the right pedal – that said, it still proves to be slightly risky. 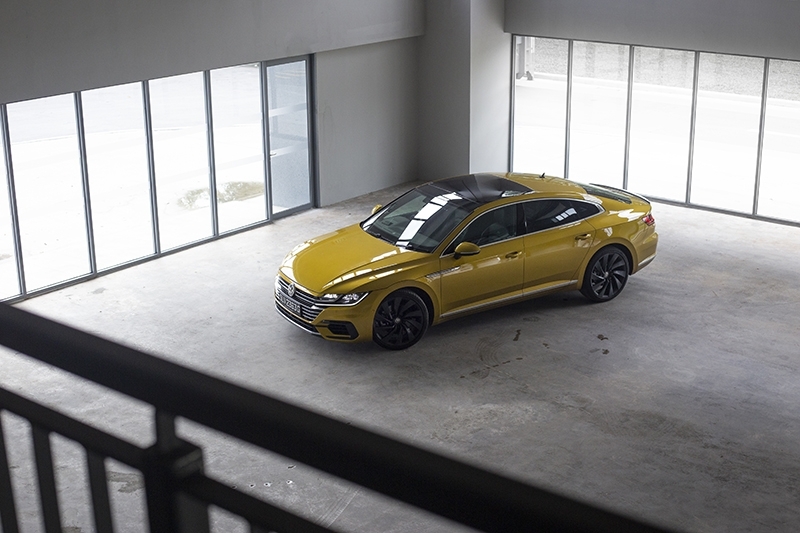 The Arteon propels you to license-losing speeds in under 6 seconds, with no fanfare apart from the rapidly increasing number on the Active Info Display and a rather muted exhaust note that matches its grand tourer intentions. 5.6 seconds is all that’s needed to get up to 100 km/h, all the way to an electronically limited 250 km/h. 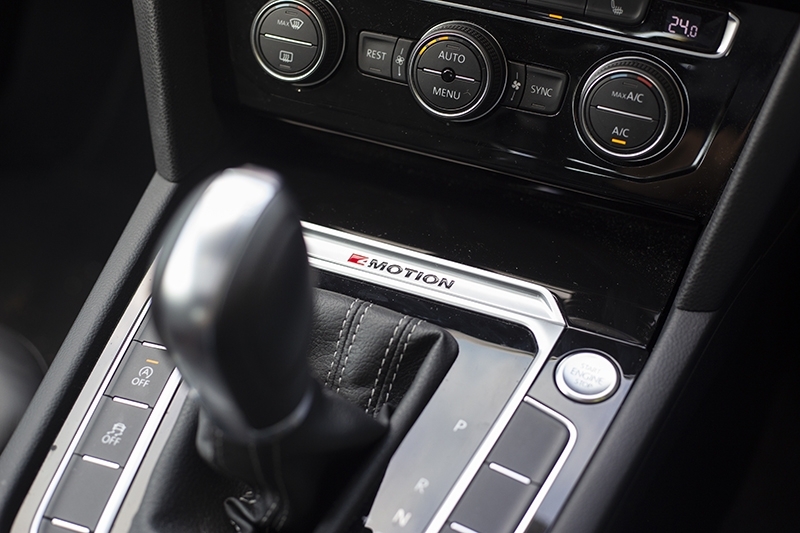 Five driving profiles are available for selection, with an ‘Individual’ profile that allows the driver to configure each aspect – drivetrain, steering and suspension – on a 43-point sliding scale. While I appreciated the customisability, I found that putting the drivetrain and steering in Sport while leaving the suspension in Normal was the optimal combination for our streets. Rapid progress can be made even on twisty roads, with the all-wheel drive system and wide track allowing you to take corners at insensible speeds. This was all achieved with the suspension settings left in Normal, which was more than capable – putting it in Sport seemed to firm up the ride with no perceptible change in its already excellent dynamics. That’s not to say that the Arteon’s a big Golf R though. 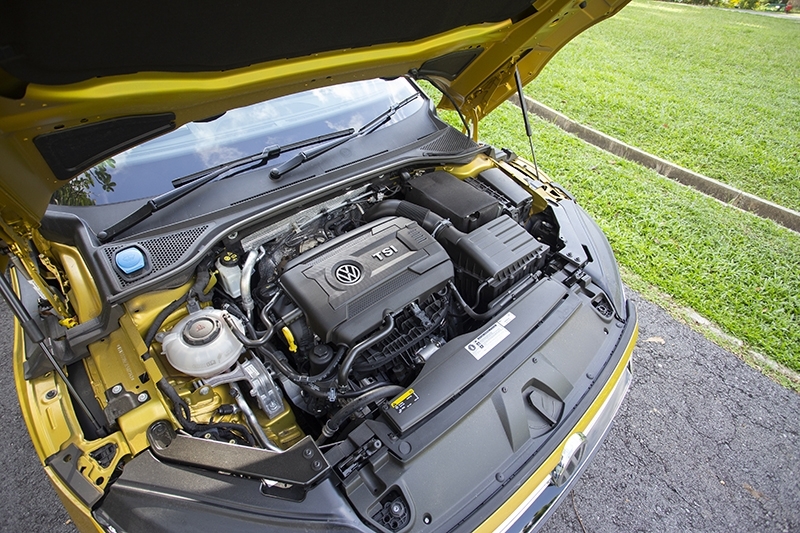 Despite the powerful engine and capable chassis, it’s still a luxury car at heart. There’s no additional joy derived from taking corners like a nutcase perhaps apart from scaring your passengers, but is best enjoyed on the expressways like it was built for. 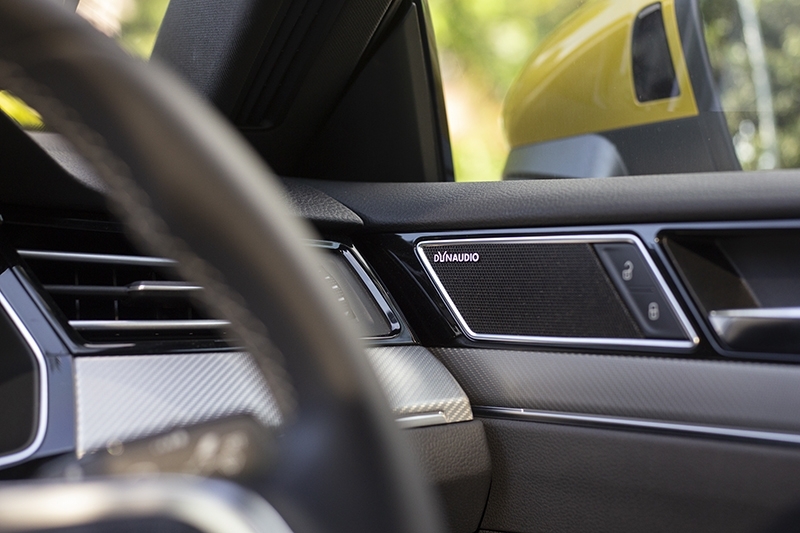 For a four-door coupe, the Arteon’s rear headroom is certainly compromised when compared to a regular sedan, but it’s still spacious enough that, unless you’re a basketball player, wouldn’t complaint. 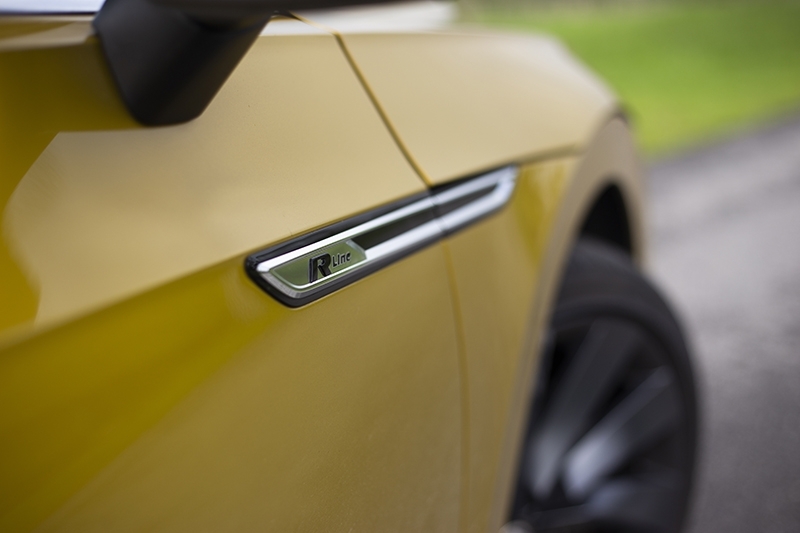 Visually it’s a treat not just for you, but everyone else around too – as standard on the R-Line trim is the R-Line bodywork which comprises of a more aggressive front bumper (and less chrome), matched with these 20-inch 10-spoke ‘Rosario’ wheels you see here. 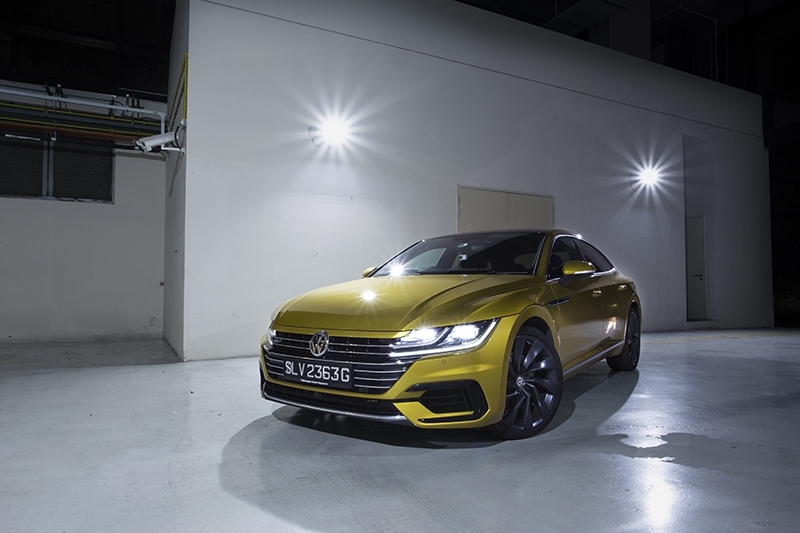 The eye-catching golden yellow paintwork is named after a spice and was developed specially for the Arteon – Kurkuma (turmeric) Yellow Metallic. 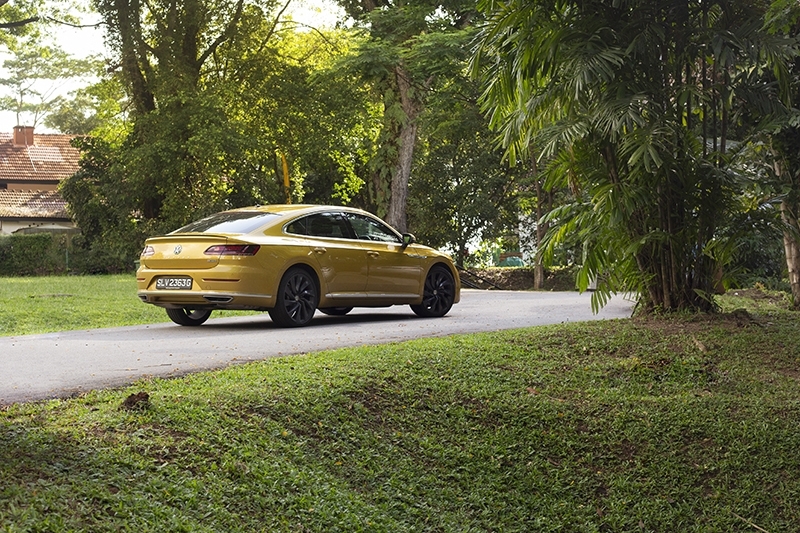 Whether parked up or driving on the road, the Arteon got approving looks from everyone around, with multiple strangers stopping to ask what it was. 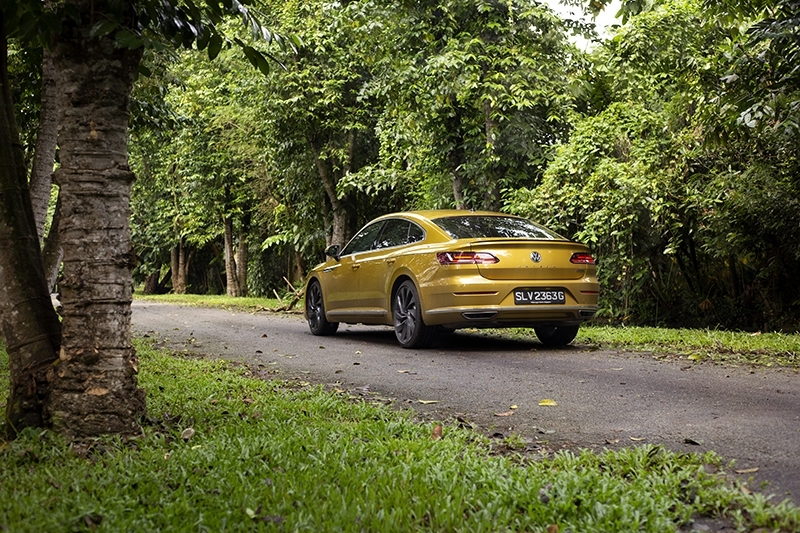 Priced at S$202,900 with COE, this Arteon in the range-topping trim isn’t what most might consider cheap, but it does get equipment that other cars in the same price range do not get, such as a surround-view camera and a front assist system with autonomous braking.